In May, 2015, the L'Eroica organization will launch "Eroica Primavera" to promote the southern part of the permanent route which normally only the participants doing the 135 and 205km L'Eroica routes ride. The organizing committee is also working on taking the event to Spain and California, possibly in 2015. The existing events in Japan and Great Britain will also be further developed. 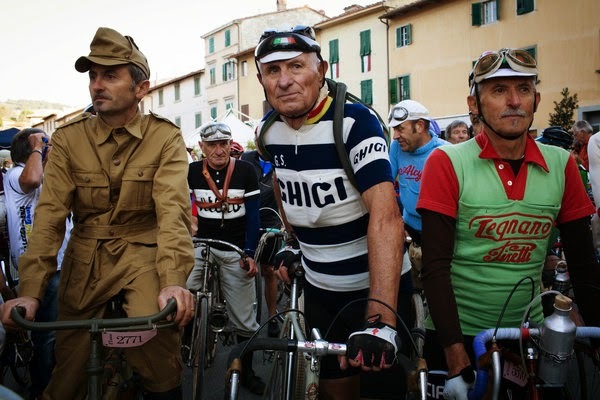 New procedures to register for L’Eroica 2015 in Gaiole are being defined now and the committee has decided to ask participants to be involved in the process. You can help by providing your ideas and suggestions by taking a survey; those who participate in the survey will have advantages in registering for L’Eroica 2015. Click here to take the SURVEY. "Of all the things a cyclist could list as essentials for riding, the road is not likely to be the first to jump to mind; it is a given. But in the vineyards and rolling hills of the Chianti area of Tuscany, preserving the heritage of the white gravel roads inspired a vintage-bicycle race that has grown to more than 5,000 participants." The 4th edition of the official Fausto Coppi calendar is now available at www.calendariocoppi.it; shipping is available worldwide. If you wish to order 10 or more copies contact info@calendariocoppi.it for pricing and shipping information. Contributions to the calendar made by Franco Bocca, Beppe Conti, Carlo Delfino, Marco Albino Ferrari, Claudio Gregori, Marco Pastonesi, Giampiero Petrucci, Vittorio Pessini, Gianni Rossi and Filippo Timo. Announced today at the Veneto Region headquarters are the stages of the 2015 Giro d’Italia that will be raced in the Veneto region. The relationship between the Corsa Rosa and Veneto, the area famous for its champions and cycling aficionados, has been going strong for more than 100 years: since 1912 when Giovanni Micheletto won the first stage of the fourth edition of the Giro d’Italia, which ended in Padua. In the 2015 Giro there will be two stages raced entirely on Veneto soil, while another stage will end in Veneto – Vicenza – and one more will start from the region: Marostica. This is a stage with two very different characteristics. The first 130km are perfectly flat, crossing the Pianura Padana to reach the Colli Euganei (Castelnuovo) and the Monti Berici. From here it’s up the Crosara climb from Mossano – 1500m long and with a gradient between 12 and 15% (max 18%) – and the Fimon-Perarolo climb will take the group towards the Monte Berico Sanctuary, at the top of the final climb which is slightly longer than 1km and with peak gradient of 10%. This stage is perfectly suited to sprinters. It’s short, fast and entirely flat until the finale where a bunch sprint is almost assured. The time trial is divided clearly in two parts: the first 30km is entirely flat, whilst the second half – of almost the same length – is characterized by continuous technical climbs and descents. Some of them are demanding, and KOM classification points will be awarded for the first climb after Conegliano. This long and unusual time trial will test the riders’ energy management. Starting from the City of Chess, the first 50km of this stage is in Veneto territory, up until Lastebasse. It’s a mountain stage with a total of around 4000m of climbing, all in three ascents: the Fricca in the first part of the stage, then the Passo Daone (max gradient 14%) and the Madonna di Campiglio one after the other, in the second part. 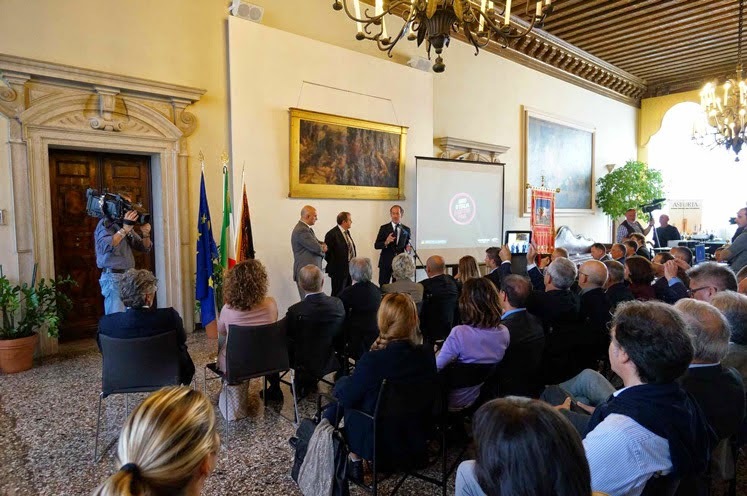 Giro d’Italia Director Mauro Vegni said, "The relationship between the Giro d’Italia and Veneto has a story that goes back more than 100 years. This is a land that gave cycling great champions and whose people has an incomparable passion for cycling. We are sure that the four Veneto stages will be, from the media, technical and participation perspectives, a great success – as is historically the case when the “Corsa Rosa” arrives in this wonderful region." The philosophy behind the race route is balance, in line with recent years, with fewer transfers and an approach geared up for modern cycling. In summary: 1 team time trial, 1 individual time trial, 5 high mountain stages, 7 flatter stages and 7 medium mountain stages. Like an inverted, three-week Classicissima, the 2015 Giro starts near Sanremo in Riviera dei Fiori (Liguria) and finishes in Milan. Along the way, it tells a story with social, cultural, historical dimensions. Final stage from Turin to Milan: Turin, the 2015 European Capital of Sport, and Milan, the host of Expo 2015, book-end the final stage. During the Giro ceremony, Cadel Evans was invited to take to the stage for a presentation in recognition of his career. The Corsa Rosa and the invited audience gave him a standing ovation. Respected former rider and coach Alfredo Martini (1921-2014) died in August. During his 23-year tenure as Italian national selector, he guided his riders to 6 World Championship wins. He will be commemorated during the Giro. It will take place on Sunday 24 May, starting and finishing at Aprica and including the climb of the grueling Mortirolo. Brian Cookson, President of the Union Cycliste Internationale, cycling’s world governing body, attended the Giro presentation, and commented: "I am delighted to see that the 2015 Giro d’Italia will go through some of Italy’s most iconic regions and cities. It reminds me of some of the great battles of past editions. The Giro d’Italia is a true legend in our sport and an important race for the future of road cycling. I believe that this 2015 edition will be extremely challenging, combining some testing early stages together with the highest mountains in the last week. I really cannot wait for May 2015." Fan of Colnago? Registration is now open for the Colnago Cycling Festival 2015 which will be held in Desenzano del Garda (BS), on beautiful Lake Garda, on 15, 16 and 17 May 2015. Entry forms are available on the official website www.colnagocyclingfestival.com along with all the detailed information about the different events. The schedule of 2015 edition is really rich. On Friday, May 15, Expo area with the most prestigious names in the world of two wheels will be opened and the bib numbers will be distributed (note: that all applications received by 10 April 2015 will have a personalized bib with name and surname). The real party will be inaugurated by the Desenzano del Garda Cycling White Night Festival promoted by Desenzano del Garda Tourism Development. Saturday, May 16, morning will take place the Tour of Lake Garda Randonee while in the afternoon there will be the Baby Bike event for children. In the evening there will be a gala dinner with the Colnago family, authorities and prominent guests from the world of sport and beyond. 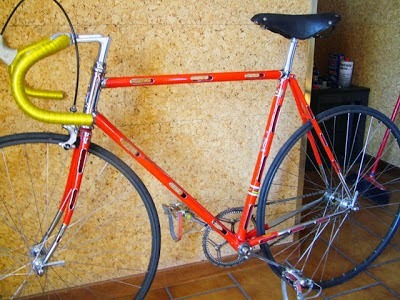 Sunday, May 17, the Garda Legend is reserved for vintage bikes will start. Also, on the final day, the Gran Fondo Colnago, which this year features three completely new routes compared to previous editions. 159 km and 2044 meters of altitude for the “queen race”, the Gran Fondo; 110 km and 1384 meters of altitude for the Medio Fondo and 77 kilometers and 940 meters for the short course. You want to miss this? The Maratona dles Dolomites - Enel 2015 will be held July 5, 2015. Registration is open from October 15 to November 5, 2014; read carefully "How to Register" here. The 108th Il Lombardia, from Como to Bergamo across 254km, will be held on Sunday, October 5th. The UCI WorldTour race is organized by RCS Sport/La Gazzetta dello Sport. 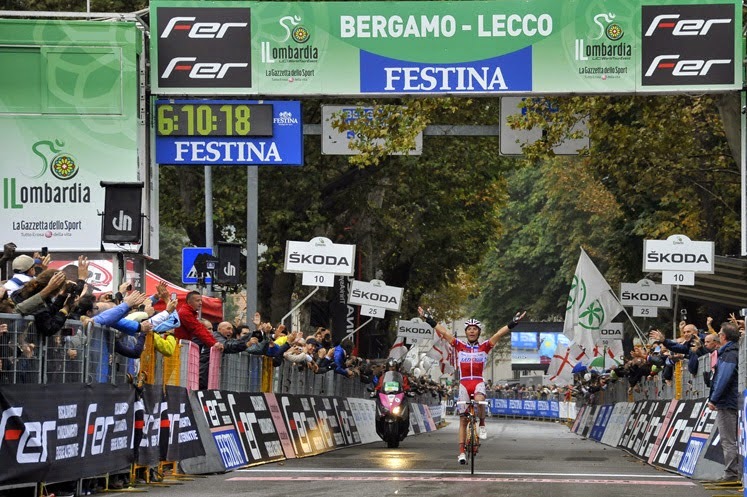 At the Bergamo finish line the challenge will be on between the new UCI Road World Champion, Michal Kwiatkowski, and the other Ponferrada protagonists, including Alejandro Valverde, Philippe Gilbert, Tony Gallopin and Fabio Aru. The other big names taking part are Joaquim Rodriguez, winner of the last two editions of the race, Alberto Contador, winner of the recent Vuelta a España and French riders Jean Christophe Peraud and Thibaut Pinot, respectively second and third in the overall classification at this year Tour de France. Taking in over 3,000m of climbing, the race will start in Como, the autumn classic will take in the villages of Cantù, Erba, Asso and Onno before hitting Bellagio at 58km and the start of the Madonna del Ghisallo (754m), a beautiful and challenging 10.6km climb with gradients over 14 per cent. The race will then continue through Asso, Pusiano, Oggiono, Galbiate and the first feeding zone at Pescate before the Alta Brianza and Meratese areas and into the Bergamo province in Calusco d’Adda. After a first passage through the city of Bergamo, the race will begin a loop back with a series of testing climbs that will decide the final winner. 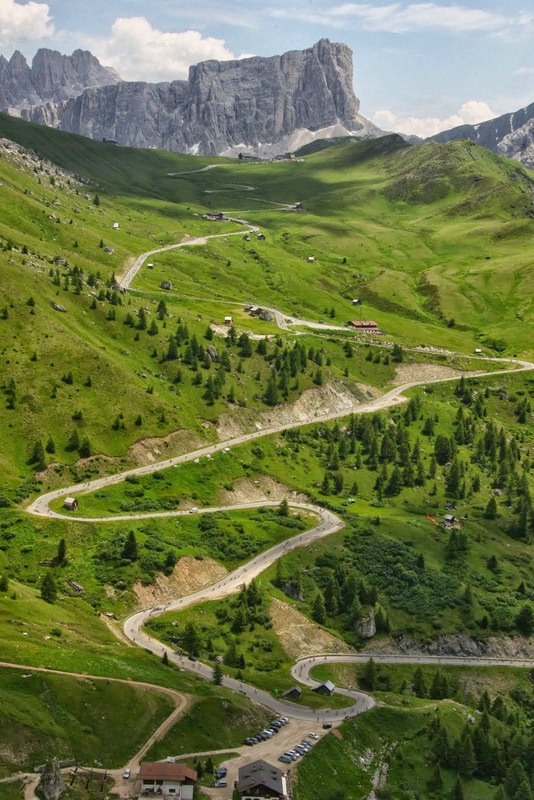 Riders will then face the Colle dei Pasta (413m), Colle Gallo (763m) and, after the second feeding zone in Cene, the Passo di Ganda (1060m), which featured in the 18th stage of Giro 2011. After a fast descent through Selvino and Rigosa towards the bottom of the valley, the road will climb back towards Bracca (600m) and take in the technical descent towards Zogno and Brembilla. Riders will then begin the classic climb of Berbenno (695m), just 26km from the finish. A fast descent towards Almenno San Salvatore takes the riders through Almè and back to Bergamo to face the final kilometres through the old Città Alta to the finish on the Sentierone. The route to the finish line climbs towards Bergamo Alta, entering at Porta Garibaldi, up the Boccola ascent and its 200m of cobblestones towards Largo Colle Aperto, a climb that doesn’t drop below 10%, and includes peaks of 12%. The final descent is wide with a flat surface. The final two kilometers takes in three technical turns, a 90 degree bend at 1800m with the road narrowing under Porta Sant’Agostino, a left turn at 1000m and at 250m from the line, driving towards the grand finale.